Due to time constraint, we are sorry if your message wasn't included in the book. We were really pressed for time. We hope for your understanding. Thank you for all your good deeds but I can't find my messages inside the book.......quite heartbroken............did I overlook my messages? Hi Alice, if you didn't find your message in the book, we're deeply sorry. We were really rushing so we might have missed some people. Please understand. Sorry. awwww,thank you so much and congratulations!! i really love part 5 and 12 the most...so happy to know yonghwa and shinhye personally got the book and were soo happy to see it :))and lol at the fans' scream that scared every one of you,hahaha...i also love the part when you saw shinhye with minhyuk' glasses in between taping..awwwww,im sure she really looked adorable!! Again we're deeply sorry. We will print out your messages and give it to Shin Hye next time we meet her. So sorry about that. love the FA. Glad to know Shinhye loves the cheer up message project & gifts. so as the director and Yonghwa. 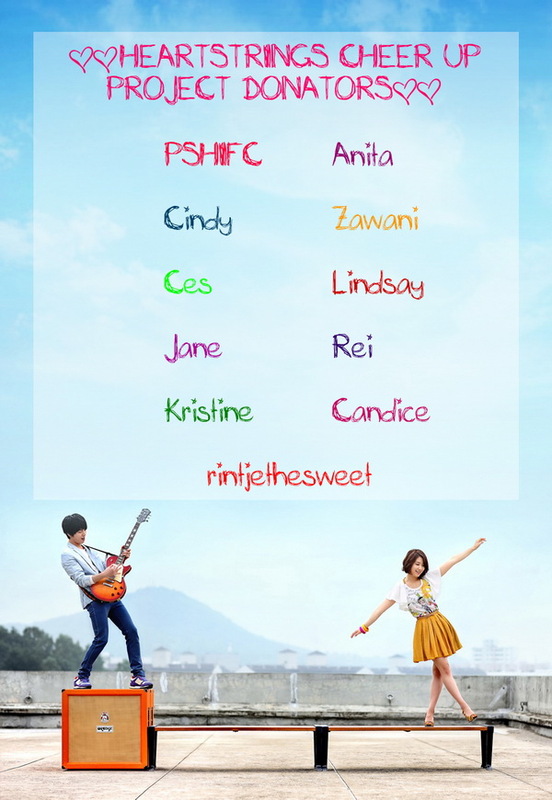 We always support Heartstrings! fighting! I'm a new fan of Park Shin Hye and when i saw this i just couldn't resist join to your news feed. I hope that i can participate in future activities from now on. Congrats to everyone, it was a nice review. so proud of you all ! all the project is so well done and im just proud of being a member of this fanclub! oh i "win" the poster cool thanks to you all ! oh thank you very much.. we realy love shinhye.. wow! you are so great! thanks again! @juliane_shinhye..you could go to forum of this site and you could register as member..i am also a Filipino.. Thank you for bringing the HS cheer up project..thank you for all your hard work and dedication..
thank you for sharing this with us...how i hope they will be coming here in the philippines... im a BIG FAN.... THANK YOU SO MUCH! 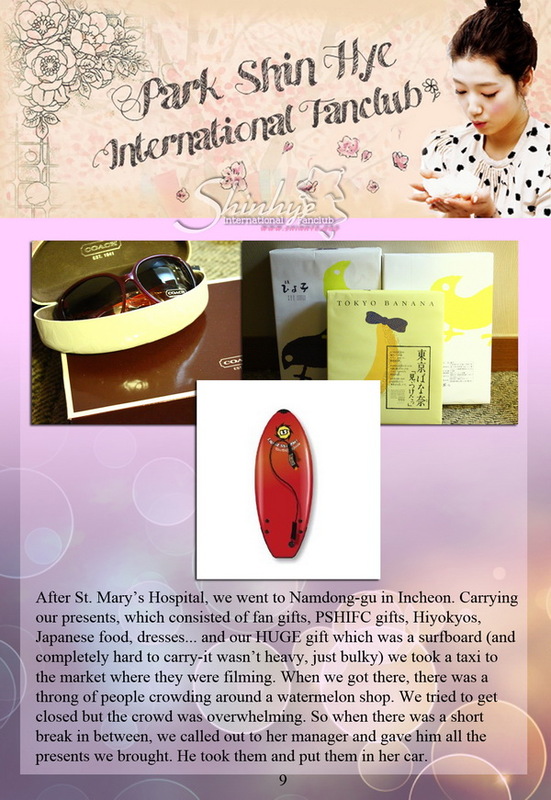 thank you PSH_IFC!! i love you all ! you make me feel like i also went to Seoul and met park shin hye personally! well done! great job! more power! godbless:)) i hope someday i will meet her too. Thank you so much for bring our LOVE & SUPPORT to ShinHye, YongHwa and the HS's crew production. You guys done a very great job....Our Love to ShinHye has unite us together....Keep up the good work and will always support you all from back no matter what...God Bless All..!! !